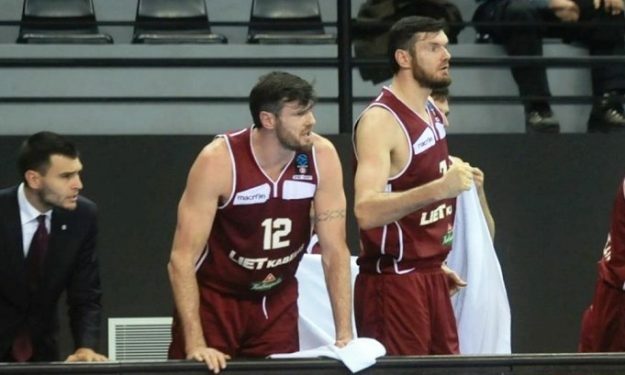 Darjus and Ksistof Lavrinovic won’t continue with Lietkabelis and might have to leave Lithuania. Darjus and Ksistof Lavrinovich won’t be a part of Lietkabelis’ roster in the upcoming season, according to krepsinis.net. Also, according to the same source, Lavrinovic brothers earned 80.000 euros each last season and although there might be openings in other Lithuanian clubs, it is unexpected that any of them can pay that much. Unless they lower the requirements, the 39-year-olds would have to look for a club outside Lithuania. Ksistof averaged 9.7 points and 3.7 rebounds while Darjus posted 9 points and 4.4 rebounds per game in the Lithuanian League.